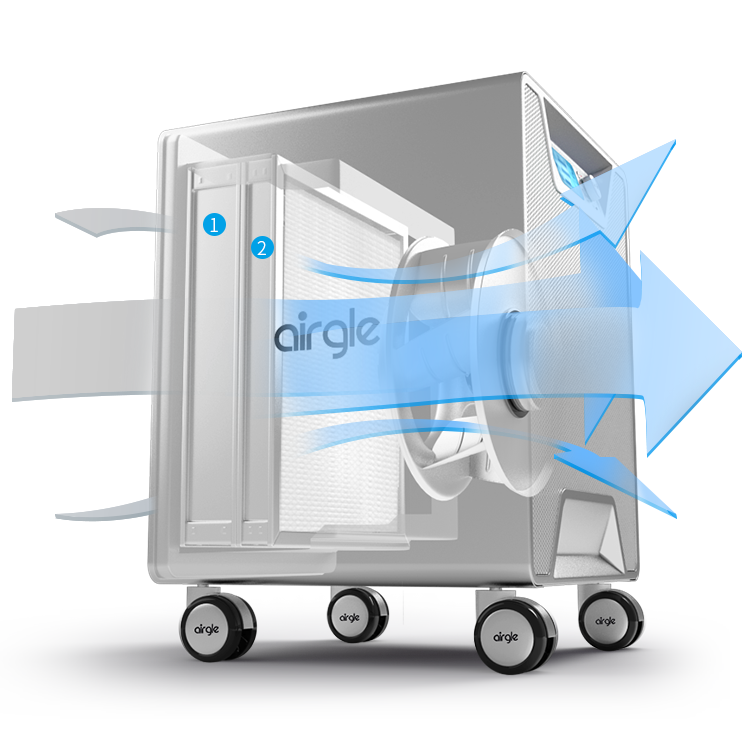 The Airgle AG800 exceeds CADR (Clean Air Delivery Rate) industry standards. 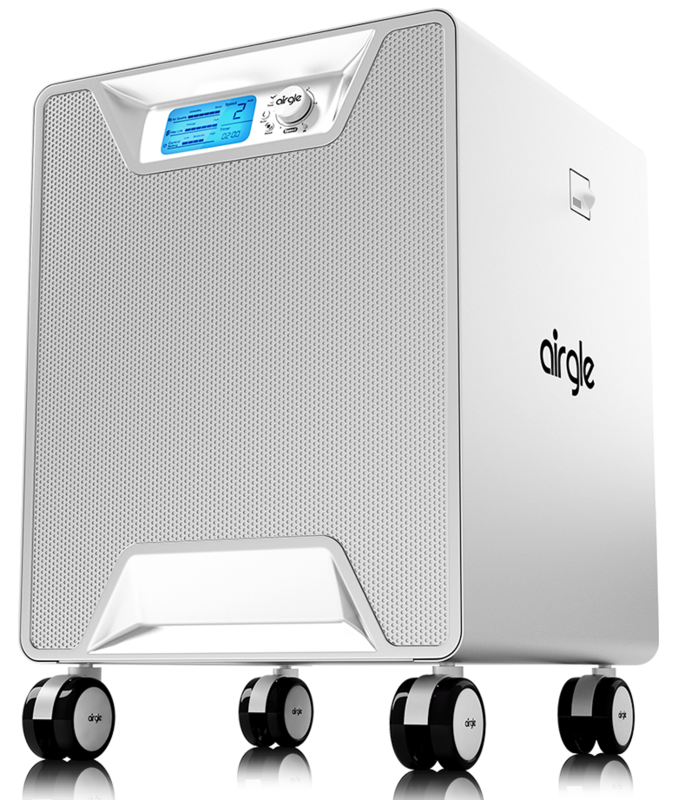 CADR is the only air purifier standard that is recognized as an American National Standard. In an independent test performed by the Association of Home Appliance Manufacturers (AHAM), the AG800 achieved CADR ratings that are among the highest in the industry. Tobacco Smoke >450 CFM, Pollen >450 CFM, Dust >400 CFM. Ideal for large rooms, the AG800’s proven ability to effectively remove a large variety of particulate and molecular air pollutants makes it one of our most popular air purifiers. captures chemicals, tobacco smoke, odors, and volatile organic compounds (VOCs). Features 61 sq. ft. of premium HEPAfast filter that removes PM2.5, dust, pollen, pet dander, tobacco smoke and other indoor airborne pollutants. 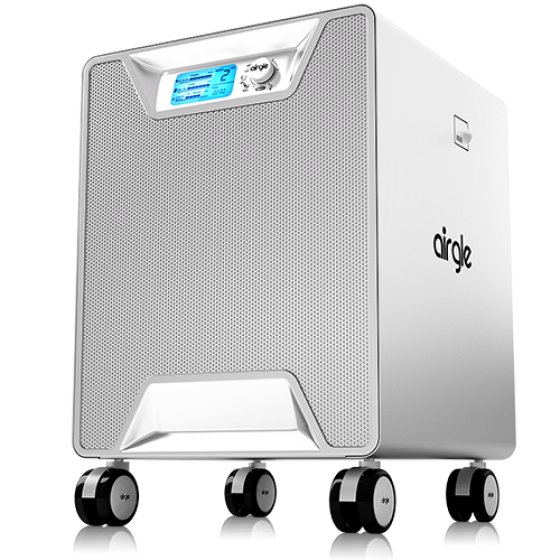 Airgle exclusive pressure sealed technology enables purifiers to filter small particles and gaseous pollutants in the air, allowing you to experience natural, fresh air in the comfort of your home and office. Equipped with 360 degree air circulation technology, our purifiers provide maximum air flow and speedy purification. For example, a living room of 698 sq.ft. will undergo a complete circulation five times per hour. Bask in clean indoor air like never before. Coverage area: 698 square feet with five air changes per hour. 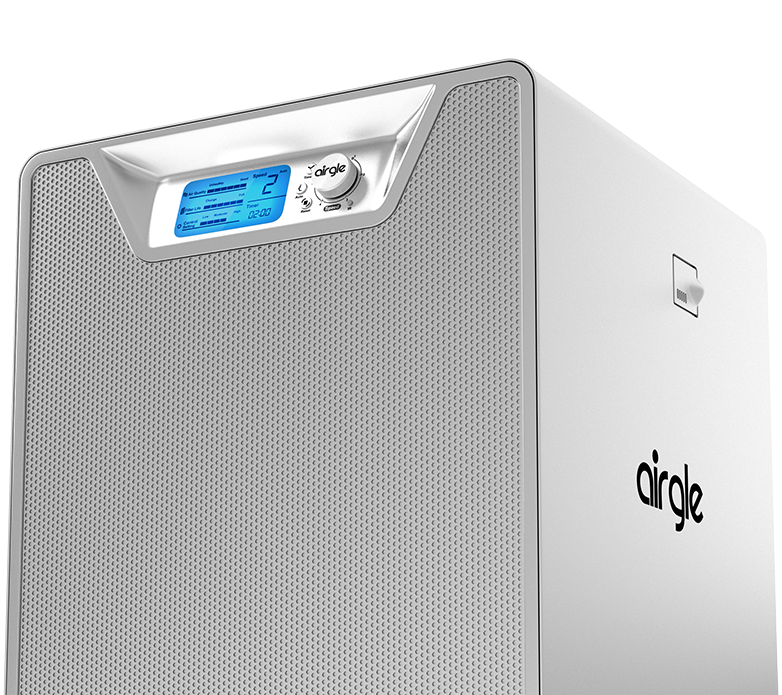 Featuring an inlet seal design and aluminum housing, the Airgle Air Purifier’s technological aesthetic embodies a North American standard of excellence. Each component of the product’s performance and durability complies with the UL507 Safety Certification as well as the California State Government, and AHAM Standards. Air quality displayed status for reference only. It has a particle removal efficiency greater than 99.85% for particles with a diameter less than 0.3 µm (1/200 of the diameter of hair) and can filter dust, pollen, pet dander and dust particles. Removes gaseous pollutants such as tobacco smoke, odor and other volatile organic compounds; decomposes formaldehyde gaseous pollutants from new renovation. Airgle AG800 uses ultra-quiet motor and proprietary control system that does not affect sleep, even when operating the machine at night. Airgle has passed a number of tests by professional certification institutions internationally. Airgle machines come with a five year warranty. Over the years, the Airgle team has been working hard to provide top notch after-sales customer service. Coverage area: 698 square feet with five air circulations per hour.